Superb Skills & Amazing Balance With A SUZUKI GSXR 750! You have seen numerous videos of great bikers performing stunning tricks with their bike, but it is never enough, isn`t it? Because this web site is all about sharing the amazing talented bikers and drivers ever recorded on tape! Hope that we are so far, so good. You are the one to tell. Anyhow, the video you can watch below features one awesome SUZUKI GSXR 750 and a bike rider who will definitely make you press the replay button more than once! His name is Joona Vatanen! Watch this guy performing stunts which may appear like they are pretty easy, however it is quite the opposite. It appears so because this biker makes these tricks look like a child`s play thanks to his remarkable abilities! But more importantly, he is wearing all the mandatory gear. Not every biker does that. Nevertheless, watch Joona Vatanen performing power slides, front wheel and back wheel wheelies in this parking lot! Performing such stunts in a limited space is quite a challenge. 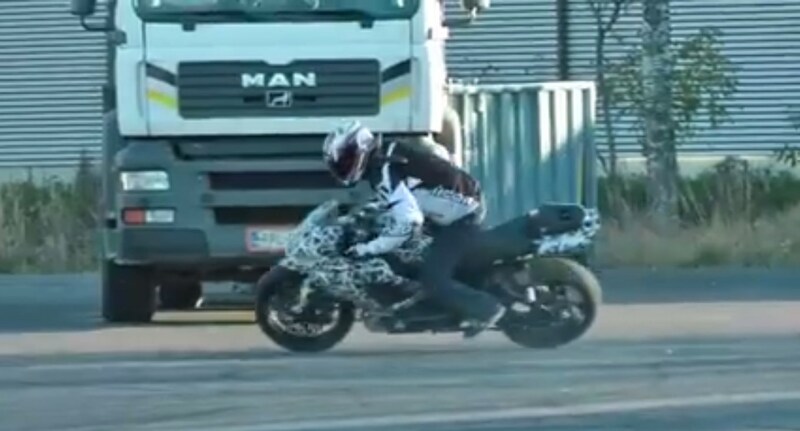 Also, whilst watching this video you might want to increase the volume of your sound devices because this motorcyclist is revving his Suzuki GSXR 750 like he has stolen it! At last, click here to visit the official website of Joona Vatanen and learn more about his beginnings as a stunt bike rider.